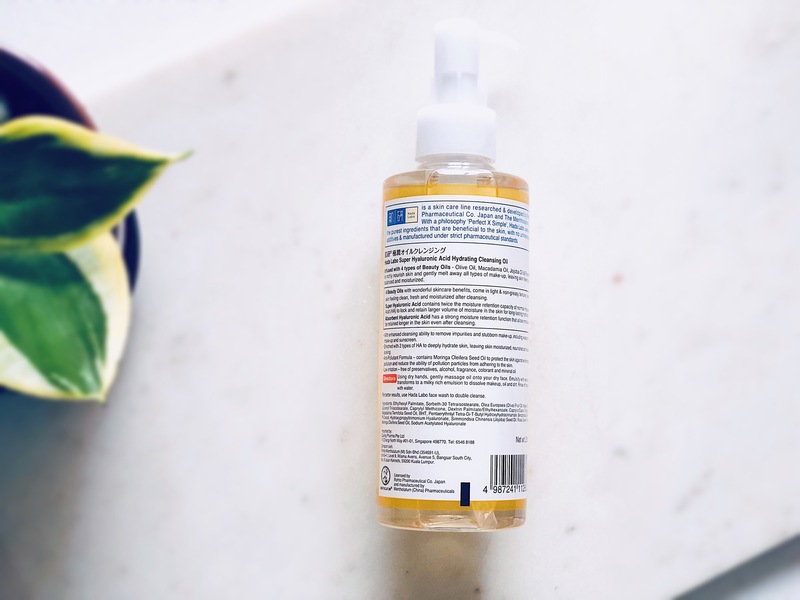 It’s been a hot minute since I did a beauty/skincare review on the blog, so I thought of doing a short review on one of my HG products – the Hada Labo Gokugyun Cleansing Oil Makeup Remover. Now for those of you who have never used an oil cleanser before, you must be wondering what this is and how to use it. Don’t worry, I got you covered! 🙂 Cleansing oil is the 1st step to a double-cleanse routine and is a very important step in the Asian (especially AB) skincare routine. All you do is take a few pumps of the cleansing oil into your dry palms and rub it gently all over your dry face and neck to break down skincare, makeup or any product buildup. Massage your skin for about a minute or two and then use a few drops of water in your palms and massage your skin again. You’ll notice that the oil turns white as it comes in contact with water – that’s the oil emulsifying 🙂 Then all you have to do is wash your face thoroughly with water and tadaaa! – Clean Face! 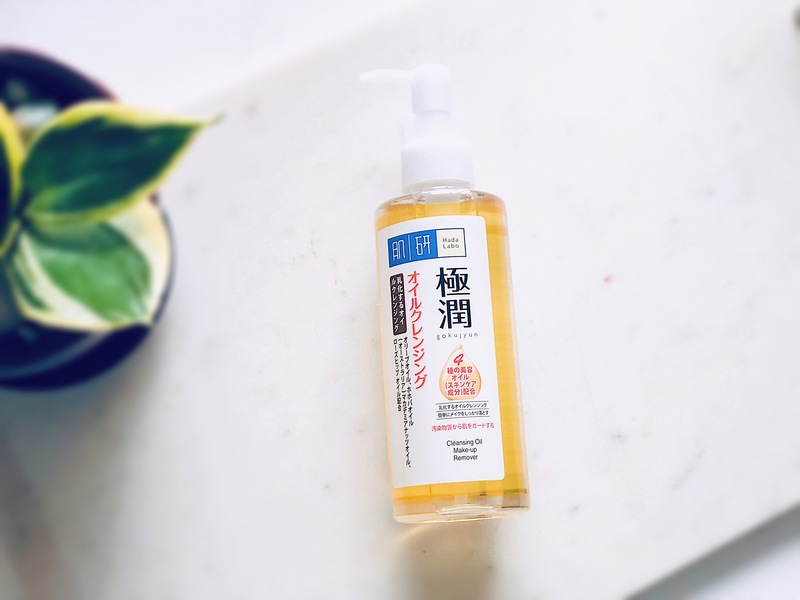 Now let’s jump into the review for the Hada Labo Gokugyun Cleansing Oil Makeup Remover. I ordered this online because the short ingredients list attracted me…also, it was quite reasonably priced for the amount of product you get…Win Win! Gentle around the eyes. It doesn’t sting the eyes. 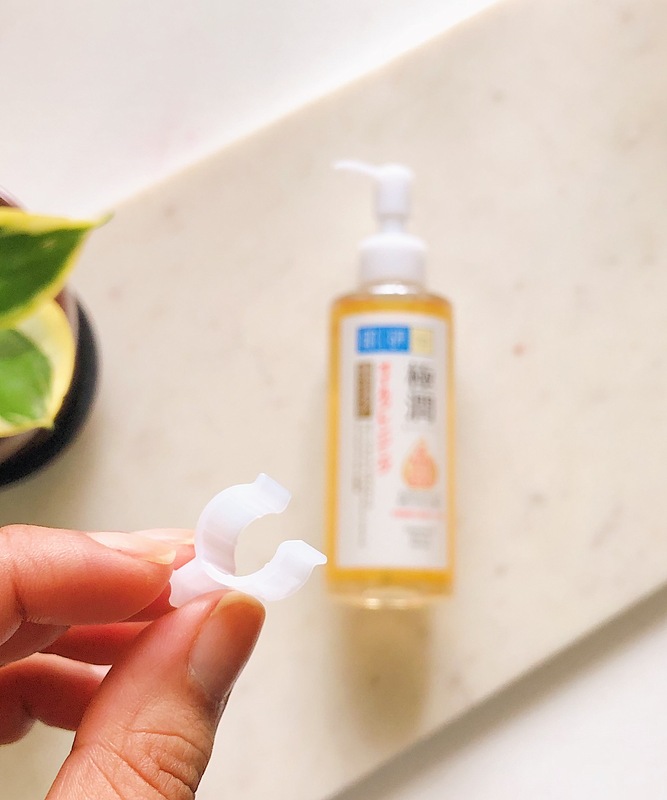 The Hada Labo Gokugyun Cleansing Oil Makeup Remover comes in a sleek plastic bottle with a stopper for the pump so you can easily travel with it without having to worry about it leaking in your bag. I’ve carried this every time I’ve travelled in the last one year and it has never leaked. 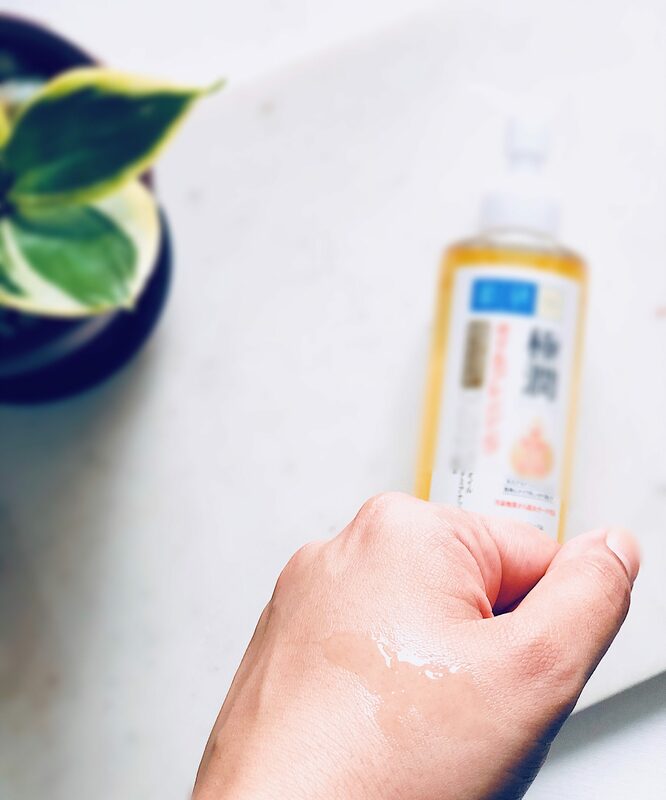 I usually take 2-3 generous pumps of the Hada Labo Gokugyun Cleansing Oil Makeup Remover to cleanse my skin on days when I’m wearing makeup and i feel it does a FANTASTIC job at breaking down all of my makeup. It’s very gentle around the eyes and it’s the only oil/balm cleanser I’ve used so far that doesn’t sting my sensitive eyes…hooray! I would recommend that if you’re wearing heavy, water -proof mascara, take an extra minute to work the oil gently into your lashes to break down the product. This oil cleanser emulsifies beautifully and leaves behind NO greasy/oily residue once I’ve rinsed my face with water. I’ve noticed that my lashes feel very conditioned after I use this oil cleanser and also it’s helped with the acne and texture on my face. My skin feels smoother and hydrated every time I use this product. Also, there is NO scent or smell in this cleansing oil, so it’s a great one to try if you’re sensitive to fragrance in your skincare. Overall, I absolutely LOVE the Hada Labo Gokugyun Cleansing Oil Makeup Remover. It removes sunscreen and heavy-duty makeup so easily. It feels like such a luxurious oil and is an absolute treat to use!